NACTO and its Affiliate Members are proud to bring together city staff and advocates from cities around the St Louis region on June 8–9 to explore common opportunities and challenges in bikeway implementation. 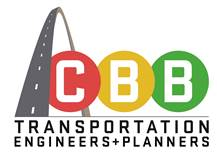 This 2-day Bikeways Roadshow will include tours of bike infrastructure in St. Louis, a hands-on bikeway design charrette led by NACTO staff, as well as informal networking events. Attendees are encouraged to contribute by presenting bikeway projects occurring in their cities. The event is open to participants from city and state government staff, advocate group staff, and other public-sector or non-profit staff from cities within 300 miles from St Louis. Registration covers meals (two continental breakfasts, two lunches, and one dinner). Scholarships to cover the registration fee available for those in need. Contact Craig & Rolf for more information. For more information about NACTO or the Sister Cities Roadshow program or this event, contact Craig Toocheck & Rolf Eisinger. Thanks to our sponsors who have made this Roadshow possible! Sponsoring a Roadshow event is a great way to connect with staff from cities that are implementing bikeway projects. More sponsorship information is available here. Contact Craig & Rolf for information about how your company can join future Roadshows as a sponsor.